The DNA Relatives feature is a popular, interactive 23andMe feature that allows you to find and connect with genetic relatives who are also 23andMe users participating in this feature, and to learn more about your family story. 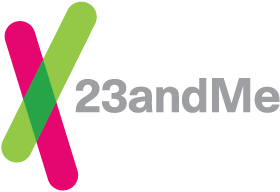 This feature is optional; other 23andMe users will not be able to see you as a genetic match unless you opt in to the feature. Likewise, you will not be able to view your genetic matches in DNA Relatives unless you consent to participate. The DNA Relatives feature has multiple privacy options to suit your individual preferences. For complete privacy, you can opt out of DNA Relatives entirely. For the most visibility, you can choose to show your ancestry results. You can update any of these settings at any time from the “Manage Preferences” link in DNA Relatives and in your Account Settings under the the Privacy/Sharing section. Additionally, any family information you enter into your DNA Relatives profile, such as surnames or family locations, will be shown when a match clicks on your entry. It is important to note that each user participating in DNA Relatives has the option to download a file containing their list of DNA Relatives, including display names, profile sexes, and predicted relationships, as well as any additional information the match has chosen to share through the "enhance your profile" step. Your display name is how your profile name will appear to genetic relatives and other participants. You can choose to participate using your name, your initials, or a combination of the two. If you would like to stop participating in DNA Relatives, you may opt out of the feature by selecting the Manage Preferences option within DNA Relatives or from your Account Settings page. If you opt out, you will not appear in other people's DNA Relatives results, and your profile will not be able to access DNA Relatives to view or contact relatives. However, you may change your mind and opt in at any time.